FEATURE — As you age, your body changes, including your brain. It’s normal for your brain to shrink a tiny bit. It’s not normal for your brain to shrink so much that you suffer from dementia. Dementia is more than just forgetting someone’s name. It’s forgetting so many things that your poor memory interferes with daily living. Until recently, advice about preventing dementia focused on staying active and healthy. Physical exercise, diet, sleep and “exercising” your brain with puzzles, games and social activities all enhance your mental ability. These things keep your brain active, supple and in shape. Did you know that your hearing also affects your brain? New research shows that the ability to hear well is as important as everything else. In fact, if you neglect your hearing, your brain can actually become smaller. This is significant because the adult human brain is only about 1,450 cm in size. At age 40, your brain starts to shrink about five percent each decade. This means by the time you’re 70, your brain is only about 1,243 cm in size. Each additional centimeter you keep helps you think better. Your brain is like a muscle. Muscles need good nutrition. They need rest. And they need to be exercised. So does your brain. One way of exercising your brain is through reading and learning. Another way is through using your senses — eyes, ears, nose, mouth and touch. When you quit using one of your senses, such as hearing, that part of your brain shrinks. Straining to hear causes cognitive overload. Cognitive overload is a fancy phrase for stress. It means your brain has to work extra hard to make sense of something that should be easy. You know how stress feels. It makes you anxious. This same thing happens with your brain when it can’t hear properly. It stresses out. If your brain is struggling to figure out what people say, it can’t focus and put that information into memory. So you forget things. Think of your brain like a bucket. It can hold a lot of information. Sometimes, however, you have so much on your mind that some data falls out. You forget. This is normal when you’re stressed. When your brain shrinks from not being used, however, it’s like making your bucket smaller. You have the same amount of information, but it doesn’t all fit. Social isolation is when you don’t interact with others. Maybe you do this because you’re tired of constantly asking, “what did you say?” Or you don’t want to be a bother, so you tune out conversations. Maybe you even avoid people altogether. Guess what. Not interacting with your family and friends leads to depression, poor self-esteem and memory loss. Humans are wired to need each other. We connect mainly through touch and talk. When you don’t talk to people, you don’t get your daily dose of connection. Talking with friends and family gives you an emotional high and creates “feel good” hormones that boost your brain power. Your brain craves stimulation. If it can’t hear well, the gray matter that processes hearing doesn’t get used. It figures there is nothing to do. It gets bored and shuts down. You don’t actually lose brain cells, according to the studies. They just become smaller so you have less gray matter. Of course, less gray matter means you don’t process sounds as well, which means your gray matter shrinks even more, which can become an endless downward spiral into deafness. This downward spiral can be stopped. All you have to do is fix the problem. Getting a hearing instrument is a simple solution. Studies demonstrate that returning hearing to normal stops your gray matter from shrinking. 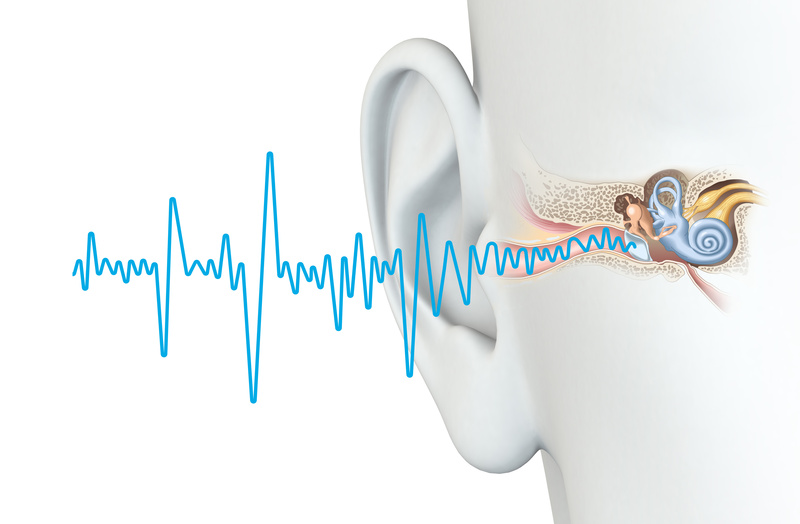 Getting a hearing instrument may even help your gray matter bounce back to its original size. Researchers are currently studying to see if this happens. However, it’s going to be easier for your brain to get back in shape if the problem is caught early. Written by Pam Montgomery-Earl for St. George Health and Wellness Magazine and the St. George News. Pam Montgomery-Earl has been in the health field since 1974, first as a registered nurse, then as a neonatal nurse practitioner for 12 years. With an interest in hearing and speech difficulties, she became a doctor of audiology. Can diabetes cause hearing loss?